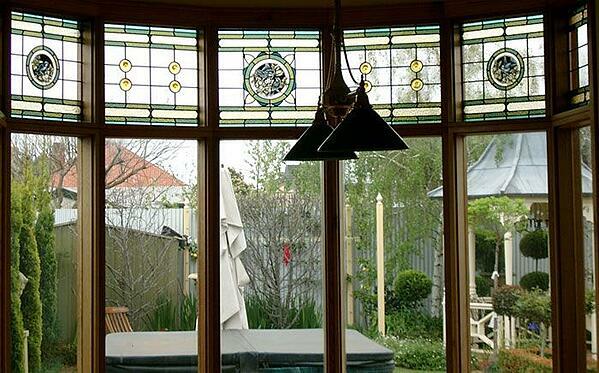 Leadlights are a decorative window that were put into old homes. Consisting of small pieces of different coloured, textured and shaped glass divided and held together by lead. Leadlights need to be looked after because they are a piece of heritage. In some cases the leadlights are heritage listed because they are so special. For example; in some old Victorian homes the leadlight windows have been brought out from England, on a boat, 150 years ago. So with so much heritage and history they really need to be preserved. How long do leadlight windows last? The service life of a leadlight window is 90 years. 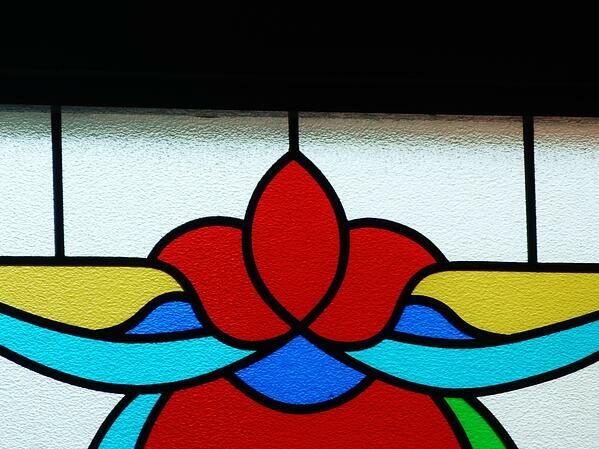 What type of leadlight design is most common? 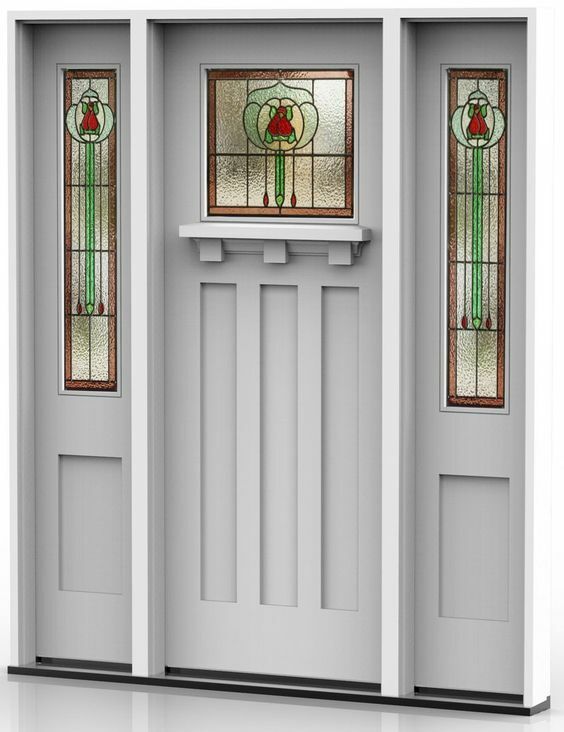 Leaded lights with flower designs and patterns like that are most common in leadlight windows and are generally found around a door surround. For example; most commonly you would have the top leadlight above the front door and then the panels down the sides of the door. Fanlights are also very common across the top of the windows in an older home so you have still got a view out of the main window and then the windows above have the decorative panels in them. Why double glaze existing leadlight windows? Leadlight windows can leak air and water, they can cause all sorts of issues if they are not looked after over time. Therefore it's a case of ensuring that they are performing as windows should. A lot of leadlights have slumped or bulged out, and that's because either the wind or something has slamming against them and they will get to the point where they will bulge out so far and then they collapse. When you put your leadlight panel inside double glazing it gives you the opportunity to repair and refurbish the leadlight so that it can last and provide the performance of new double glazed windows. Once it is in the double glazing it's there for the life of the unit meaning that it will last a very long time. 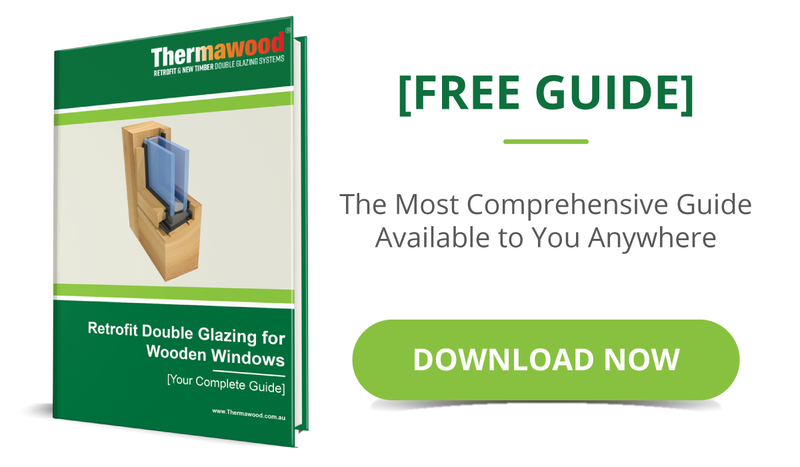 With Thermawoods patented retrofit double glazing solution a drainage system is incorporated which enables the double glazed leadlight to last even longer. Not only that but in the process of retrofit double glazing your leadlight window the insulated glass unit can be customised to combat other problems such as reducing noise, providing better insulation, improving security and much more. Reduces condensation from forming on the inner surfaces of your windows, which means a aaadrier, healthier home. How to double glaze existing leadlight windows? Step 1: At Thermawood we take the leadlight glass out of the window in one piece. We don't hack any glass out, we don't smash any glass out, we cut around it and you remove it with a very small portion of the timber frame, doing absolutely no damage to the leadlight at all removing it completely intact in one piece. Step 2: After the leadlight comes out we give it to our leadlighter. He joins, re-solder and repairs anything in the leadlight that has degraded over time so that it is completely refurbished. If the leadlight is located next to a door for a hundred years the joins would most likely need to be re-soldered due to vibrations. Whenever the door was slammed shut various times over the years sometimes it cracks the joins in the leadlight making the leadlight loose. The lead might be getting aged as well where it is white rather than black. So the leadlighter will re-solder them, re-blacken them, re-seal them and put a new border of lead around the outside so it looks like it was when it was originally made. Step 3: Then we put the refurbished leadlight inside the double glazing while it is being made. As the insulated glass unit is going through the double glazing line we put the leadlight inside the double glazing (IGU) when the spacer goes on the glass and then the second piece of glass gets sandwiched on the double glazing and the leadlight is preserved inside the double glazing for the service life of the leadlight. Step 4: We cut a 15 degree slope in the rebate of the window frame so that no moisture can sit within the frame and then paint the frame with a specially developed eco friendly primer paint that provides the equivalent of two undercoats. Step 5: Install the double glazed leadlight back into the existing window. First the drainage system goes into the window sitting on the 15 degree slope. Then the backing rubber and next the double glazed leadlight is positioned on top of the drainage system using specially designed blocks and next the front seal is fitted. The beading is then secured to the frame with the bottom bead specially designed to allow any moisture to escape that might find its way inside the glazing rebate and the double glazed leadlight is now completely mounted inside the existing window. How long does it take to double glaze an existing leadlight window? At Thermawood we like to give it at least a month to 6 weeks. Once the existing leadlight has been carefully removed there are more steps involved that require attention from other specialists. When the leadlight goes to the leadlighter it takes time to re-seal it, re-blacken it, etc, and the aaaleadlight has to sit as everything sets in place. 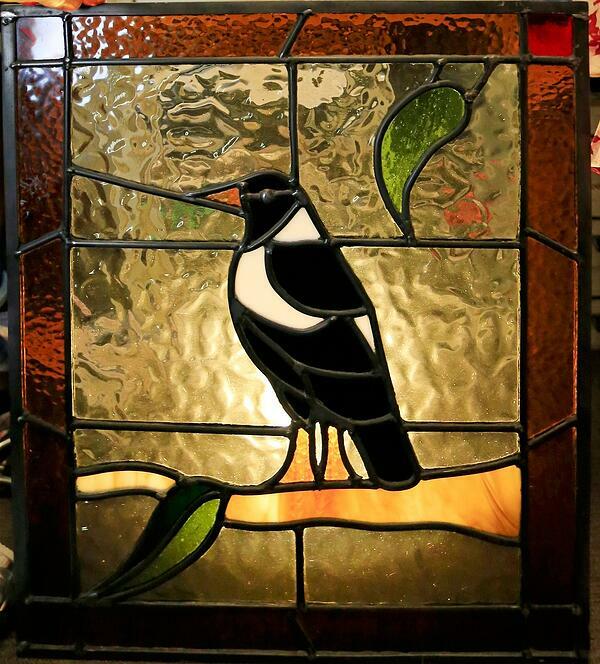 Then once the leadlight has been refurbished it goes to the double glazing manufacturer and aaabecause it is a heritage glass it is classed as what we call special glass, so it does take a little bit aaalonger than your normal double glazed unit. Therefore we like to say at least a month and generally we can turn it around in that time, but depending on certain variables it may take six weeks. What we do in the meantime is prime the window frame while the leadlights away and we will put another glass or material in the hole as a temporary glazing where the leadlight was until the retrofit double glazed leadlight is ready to go back into the home. That way the property is secure while the leadlight is getting refurbished and put inside the insulated glass unit. How to repair leadlight windows? 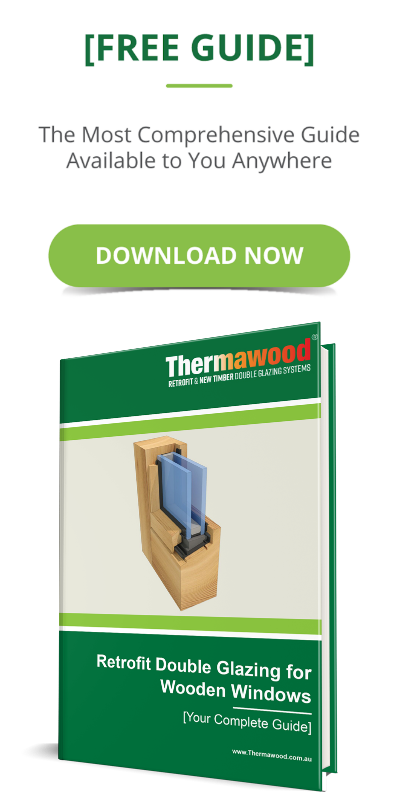 The best way to repair a leadlight window is actually through Thermawood’s retrofit double glazing process. The reason for this is that when repairing a leadlight other providers will hack it out, causing more damage when taking the leadlight out than what was actually there in the first place. It's amazing how much damage can be done to a leadlight getting them out without using Thermawoods specially designed tooling and processes. Refurbishing leadlights and putting them back in is a specialty process, that's why we have particular leadlighters we deal with. Some leadlighters really get what we do at Thermawood, so we work with people who understand our systems, our processes and what we're trying to achieve. Is secondary glazing leadlight windows a good option? At thermawood we have pulled secondary glazing out of leadlight windows where someone has put a bit of timber against the leadlight, as a spacer, and then put a piece of glass against that spacer and embedded it in as a secondary glazing. But what happens when you do that is because the leadlight leaks air, unless you've completely sealed it by glass on the other side, then the leadlight is not airtight and what will happen is that it starts condensating and the moisture goes down to the bottom of the frame and quickly begins rotting the window. What do Thermawood customers say after retrofit double glazing their leadlight windows?